High in nutrients and low in calories, broccoli are popular among healthy eaters for good reason. The vegetable is part of the cruciferous family alongside other nutrition powerhouses like kale, cauliflower, bok choy, Brussels sprouts, cabbage, mustard greens, and turnip greens. 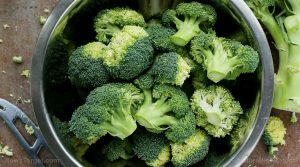 Broccoli are fairly common, and are grown commercially across the United States, mostly in California, according to WHFoods.com. The vegetable ranges from a deep green to a purplish color depending on variety, and it takes on a round shape formed by small florets. Broccoli should be colored the same throughout, without yellowing. A good head of broccoli should not have yellow flowers blossoming, and no slimy areas on the stalk and stems. Broccoli should be stored in a refrigerator, and should only be washed before it is used to prevent spoilage. Broccoli’s extensive nutrient content makes it ideal for a number of medicinal and health uses, according to OrganicFacts.net. It is especially beneficial for fighting cancer, thanks to its substantial amounts of compounds that counter carcinogens, including glucoraphanin, diindolylmethane, beta-carotene, and selenium. Its levels of vitamins C, A, and E, as well as zinc, potassium, and amino acids also help strengthen the body against cancer. At the same time, the vitamin C and amino acids help remove toxins and free radicals from the body, preventing health problems such as gout, arthritis, rashes, and eczema. These, combined with beta-carotene, vitamin B complex, omega-3s, and folate also found in broccoli can promote clear, healthy skin. Broccoli also contains a phytonutrient called glucoraphanin, which is associated with reversing sun damage on the skin. Filled with fiber, broccoli is great for easing constipation. At the same time, its magnesium content help regulate acidity in the stomach, and improve the body’s absorption of nutrients while reducing inflammation in the stomach. Its high fiber content also improves cholesterol levels, and combined with its heart-boosting beta-carotene and omega-3 fatty acids, makes it a powerful vegetable for fighting heart disease. Broccoli can also keep blood pressure at a healthy level, through a mineral called chromium, which also regulates insulin functioning. Rich in calcium, it promotes healthy bones and strong teeth. Because it contains a good amount of omega-3 fatty acids, it may also delay the onset of Amyotrophic lateral sclerosis (ALS). Broccoli is a great addition to any diet. Its chunky texture and neutral flavor lends itself well to a variety of recipes. BonAppetit.com recommends adding broccoli in creamy pastas, roasting it with peanuts, blending it into a soup, or using it in salads. The vegetable must be cleaned well before cooking or using, to avoid any bacteria. It is best when eaten raw, because cooking may affect its antioxidant content. Broccoli can help fight cancer, because it contains many compounds that fight carcinogens. Broccoli also supports heart health. Broccoli can ease digestion, promote healthy bones, strong teeth, and clear skin. The vegetable encourages detoxification, and can reverse UV damage. It can also potentially delay the onset of ALS. Broccoli is a detoxifying vegetable and is a better-than-average antiviral agent.